Long Beach community members ditched the long lines at retail stores today, opting instead to lend a helping hand during the county’s largest Thanksgiving service event, Great Day of Service Friday. 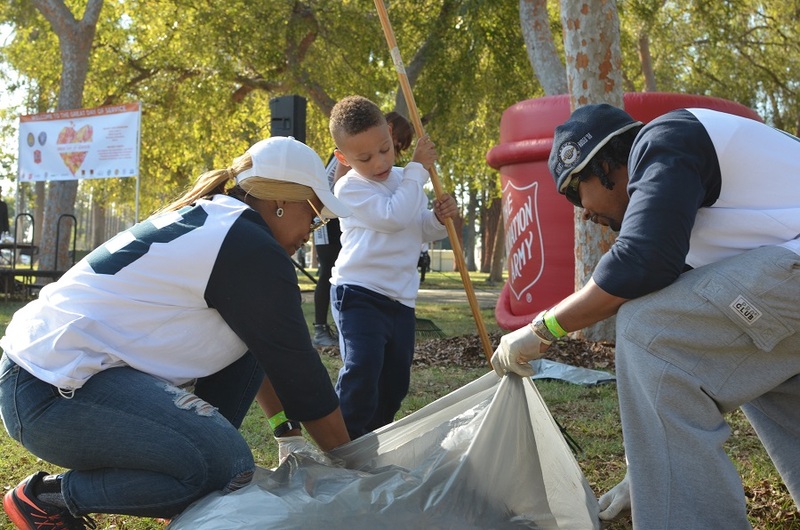 About 260 people gathered at Houghton Park this morning, including Vice Mayor Rex Richardson and representatives from The Salvation Army, Long Beach Fire Department (LBFD), and International Brotherhood of Electrical Workers (IBEW) Local 11, IBEW Local 18 and event organizers Working Californians, to volunteer in restoring the park. Volunteers helped to rehabilitate the park and community center, along with hosting a toy and clothing drive and providing a free community meal available to veterans, youth, low-income families and the homeless. Two more volunteer sites were located throughout the county, in Pasadena and East Los Angeles.